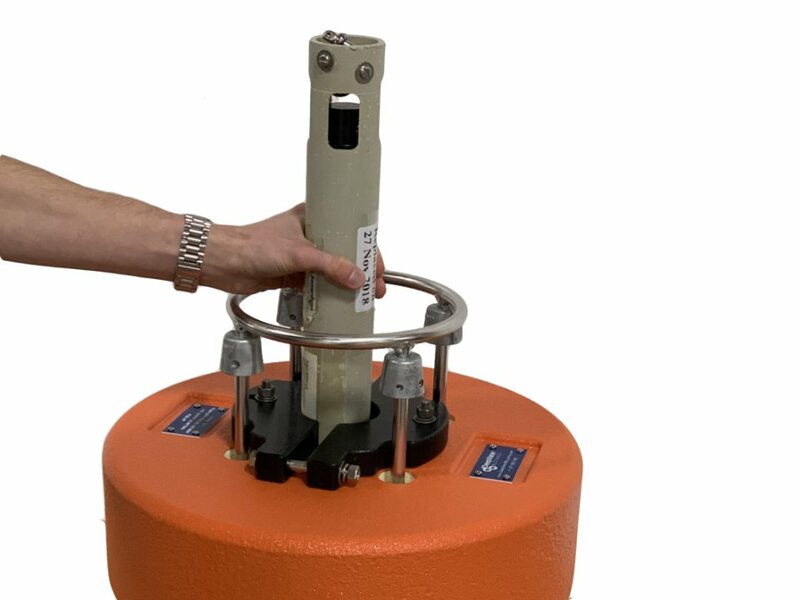 DeepWater Buoyancy’s Pop-Up Buoy Recovery System (PUB) allows for direct retrieval of seabed packages, such as anchors, anchor lines, and bottom-mounted frames and instruments. 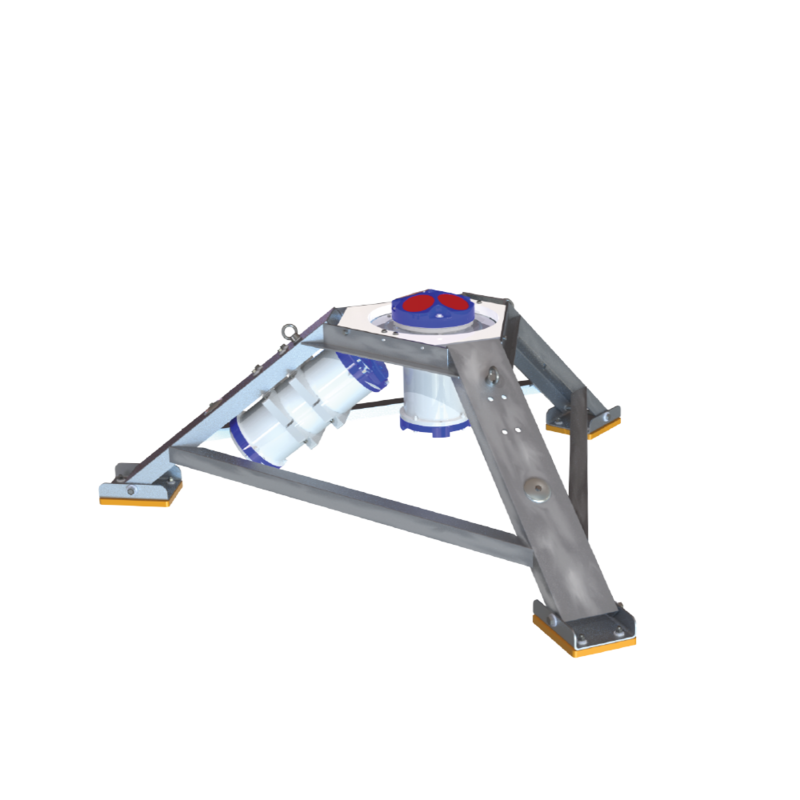 Easily mounted to any framework, the assembly sits on the seafloor until the acoustic release is activated. 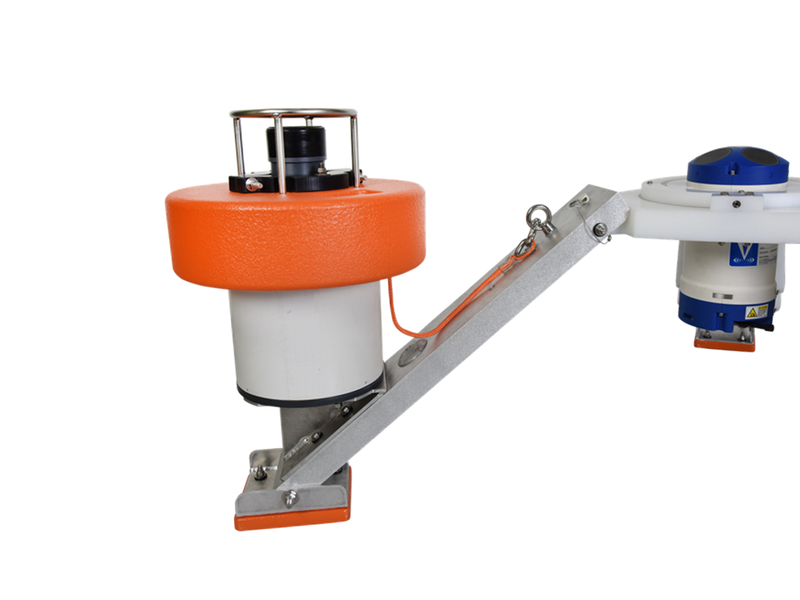 Once the release completes its disconnection, the buoy lifts free from the canister and rises to the surface. 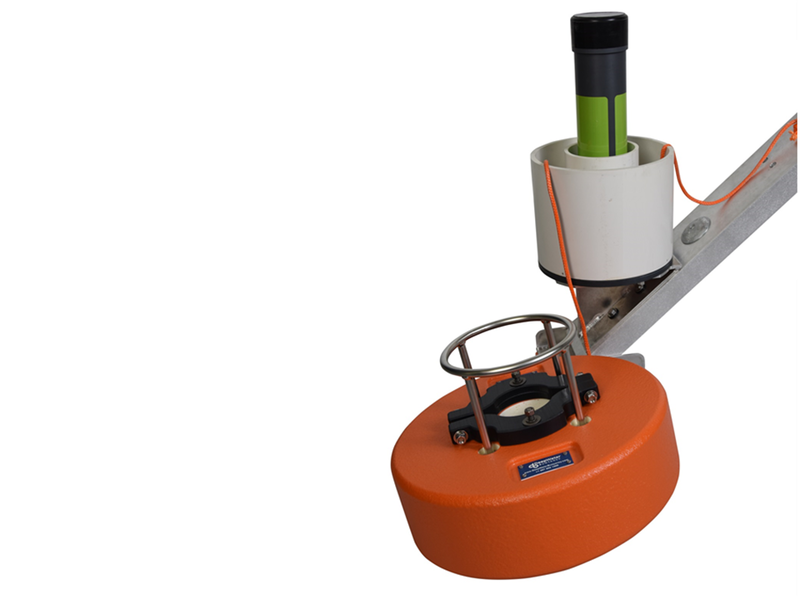 A synthetic line connects the buoy directly to the framework of the seabed item and allows for retrieval. 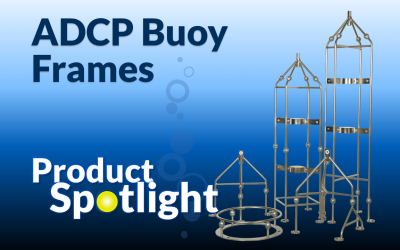 The buoy is outfitted with an electropolished 316 stainless steel frame. 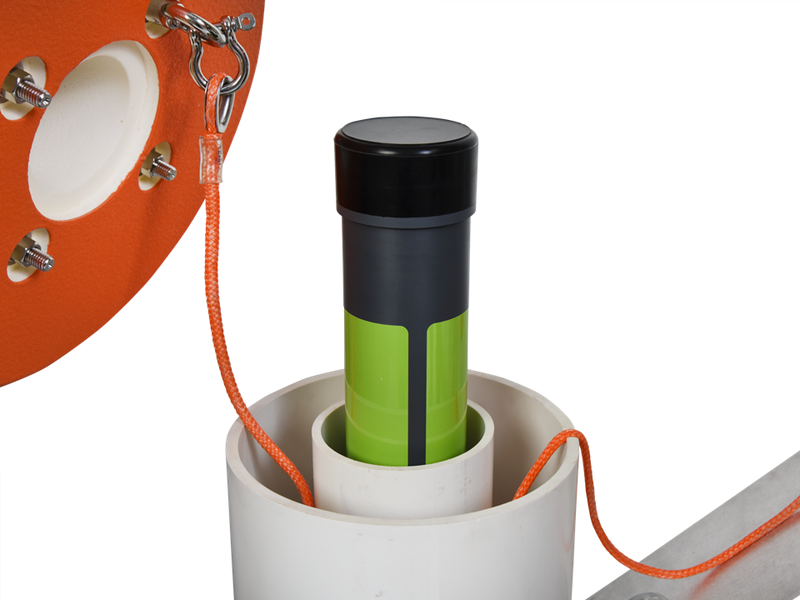 The canister holds 75 meters of 1/4″ synthetic line. (Other line lengths are available upon request.) 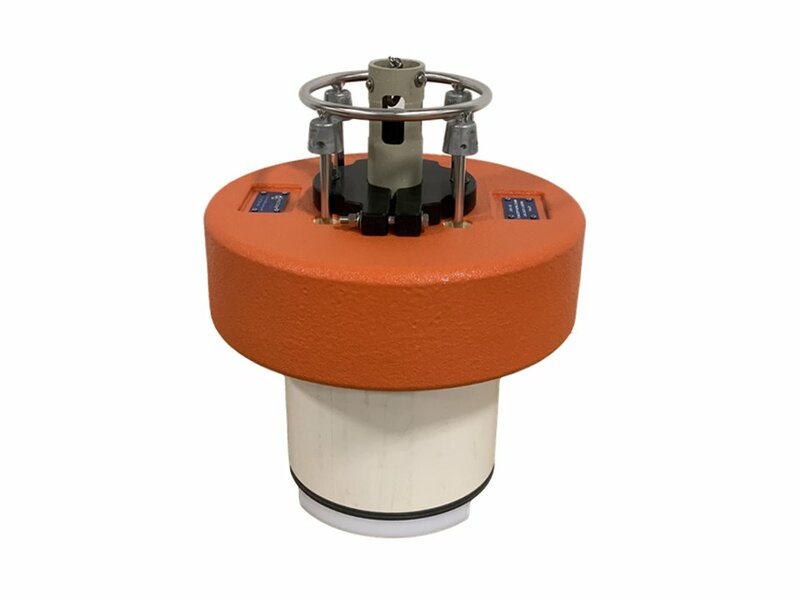 The recovery buoy is made from high-strength DeepTec® solid syntactic foam. 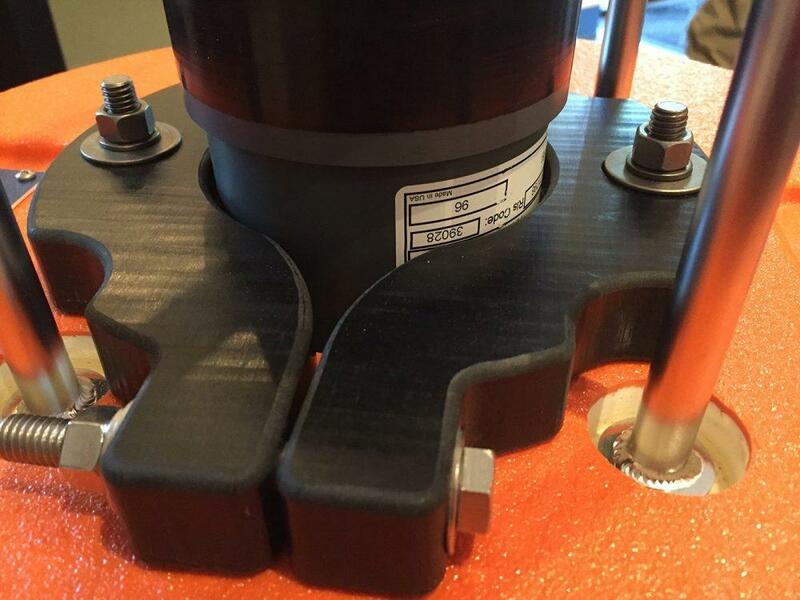 The foam is finished with an abrasion-resistant, polyurethane elastomer coating. 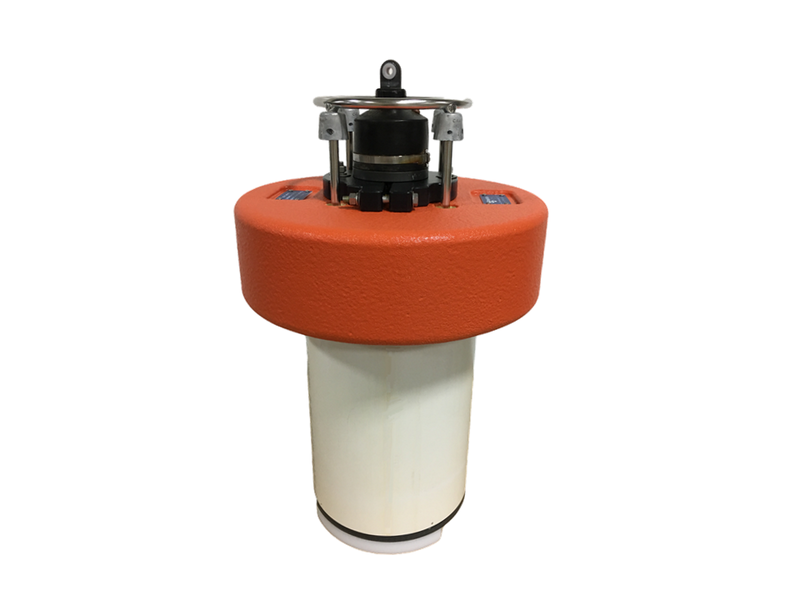 The canister subassembly is made from PVC and 316SS plate. 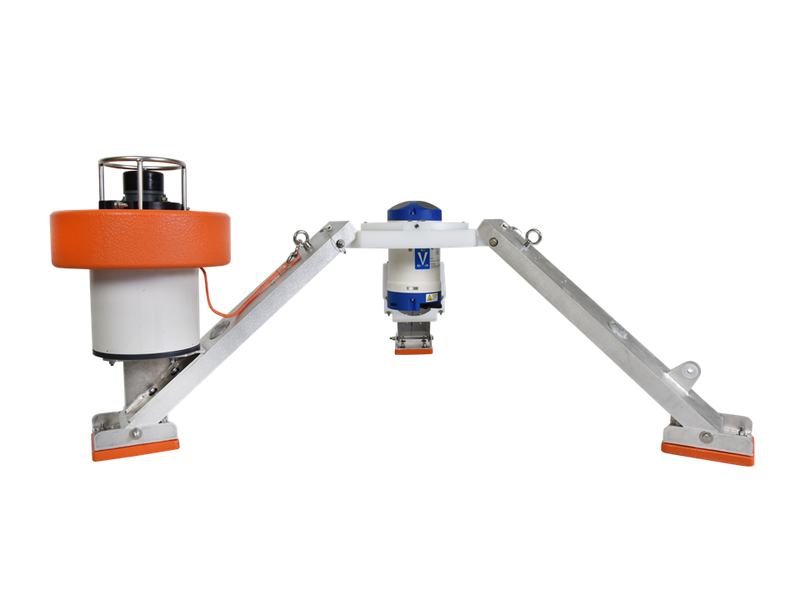 It has a rugged design and has attachment features to permit various mounting configurations, including easy mounting to our BTM-AL50 tripod bottom mounts. 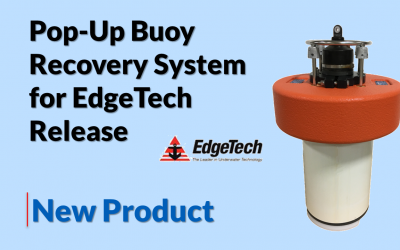 Our standard recovery systems are designed to work with Benthos, EdgeTech and Sonardyne products shown below. We also offer custom recovery systems. 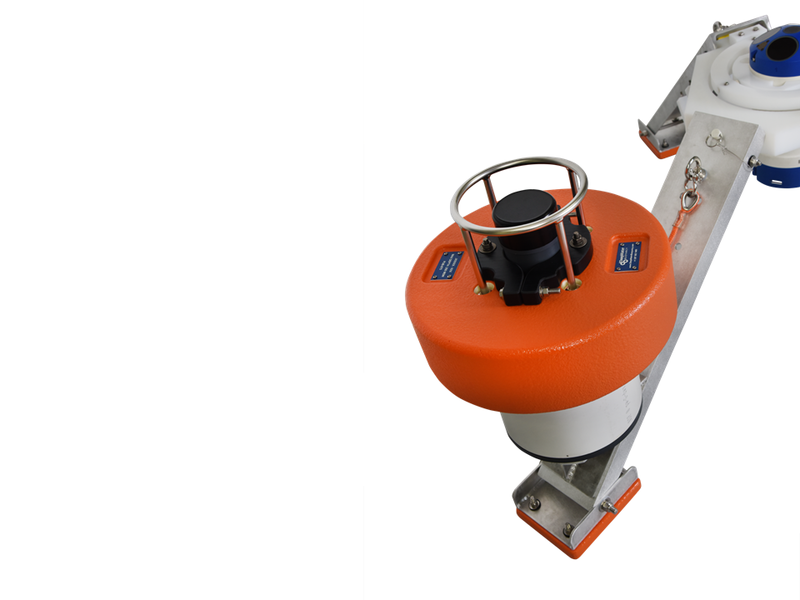 Pop-Up Buoy clamping detail showing Benthos 875 Acoustic Release. 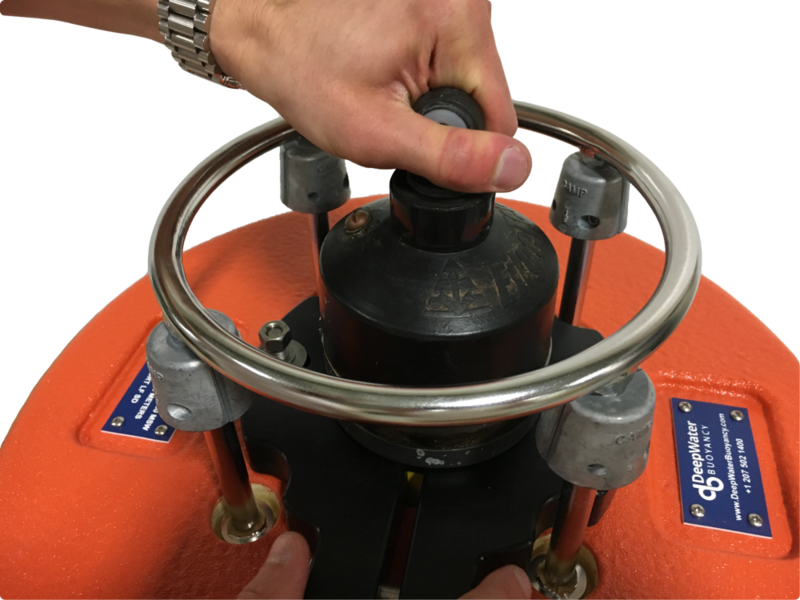 Installing EdgeTech PORT-LF SD into DeepWater Buoyancy Pop-Up Buoy Recovery System. 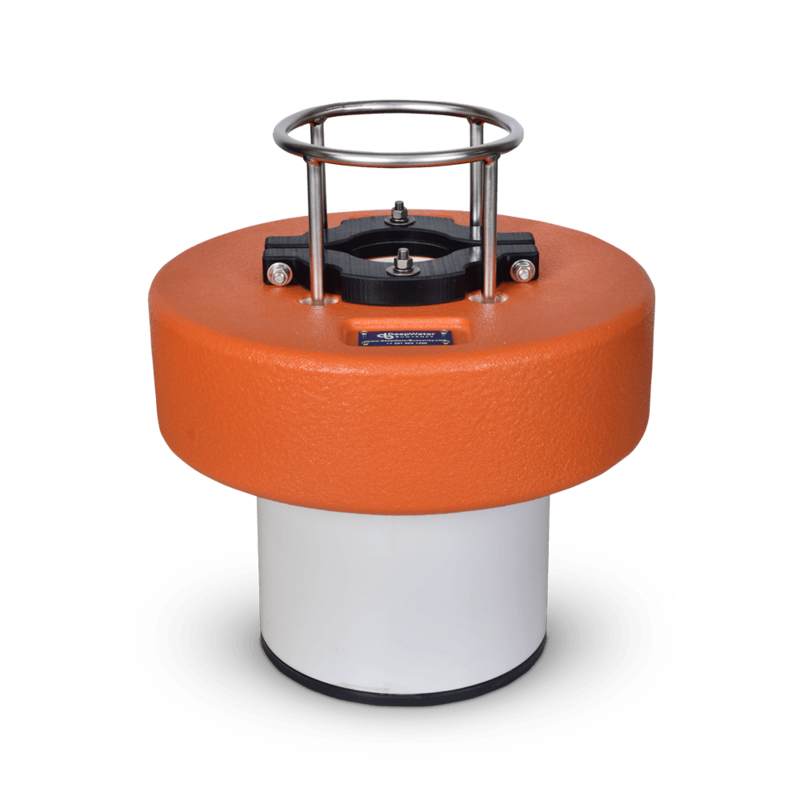 EdgeTech PORT-LF SD Acoustic Release in Pop-Up Buoy Recovery System. Installation of Sonardyne LRT into DeepWater Buoyancy PUB-LRT. 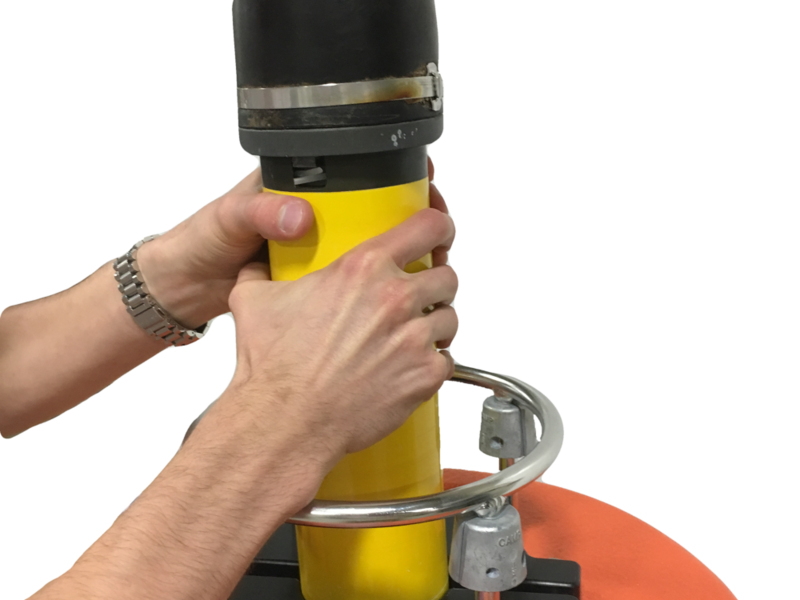 Sonardyne LRT installed into a DeepWater Buoyancy PUB-LRT. 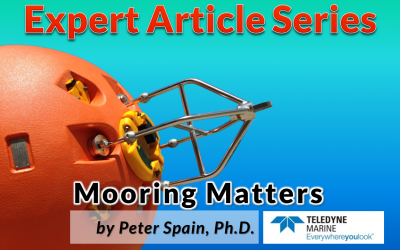 Whether your bottom mount requirement is for a mid-frequency or high-frequency ADCP, we can accommodate you. These diver-serviceable units can be produced to accept your ADCP, battery, CTD, acoustic modem or other instrument. 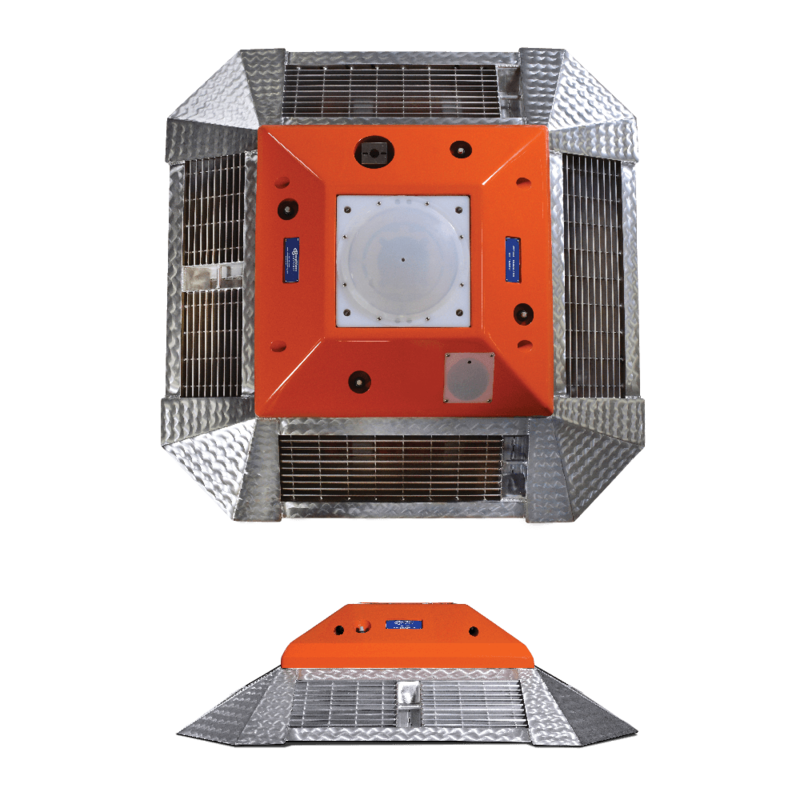 The popular BTM-AL50 is now offered in both welded and collapsible versions.